I was in TK Maxx last Wednesday looking for crocs for the 10 year old - who has the same size feet as me so I can easily shop for him now. Anyway..that did mean that I was trying on crocs and hoping no-one saw me and thought they were for me! Anyway - got a pair for him and seeing as I needed something to hide them underneath in the checkout queue (one of my best excuses for buying clothes in recent months!) 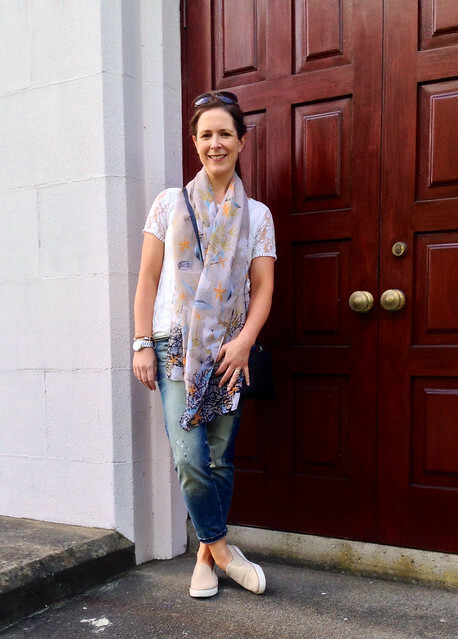 I had a quick look at the bargain rail and I found a pair of Brooklyn Supply boyfriend jeans for £7! So I wore them the next day in this outfit. 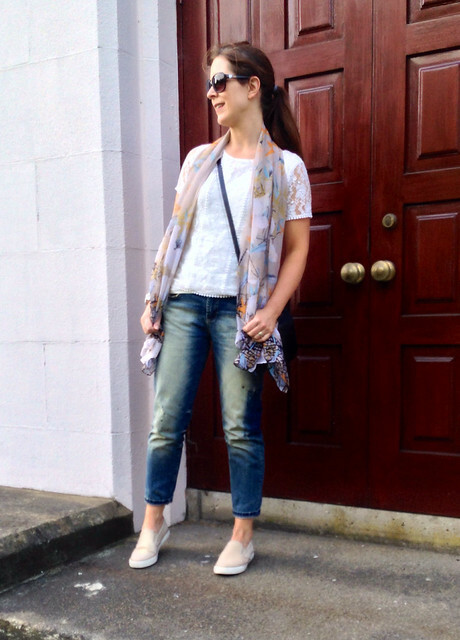 Girlied up the distressing with a little lacy top I got in Oasis last summer...oh and have you spotted the ponytail?! Yes...these photos were taken the day before the big chop. I forgot about them until now. Still no regrets! And I just want to give a shout out to the person who made one of my bracelets - Jo from Jo's Arm Candy. I saw her Facebook page a while back and sent her a message as I loved the infinity leather woven bracelets she makes. I ordered one in tan and it was only £5 so I wasn't expecting such a gorgeous quality piece for the money. Really lovely and stacks perfectly with my MK Watch and bracelet. 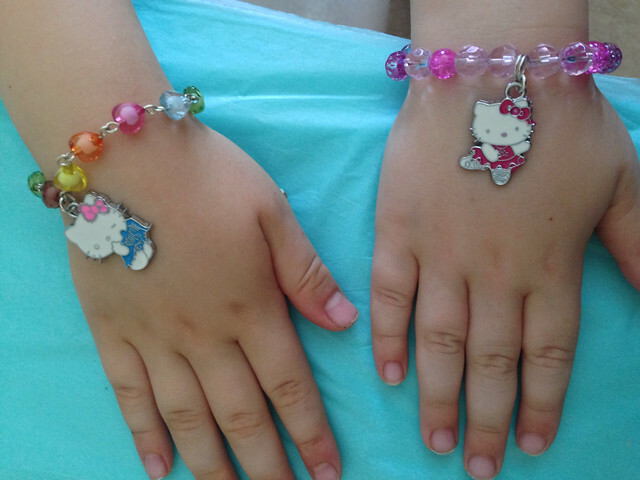 I also ordered a couple of Hello Kitty bracelets, which Jo also makes, for the girls and they were delighted with them. Thanks Jo! What a bargain! 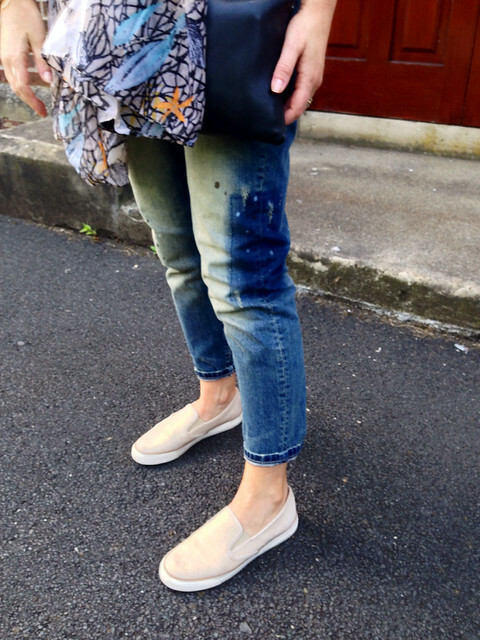 Perfect jeans, they look fab all girlied up. 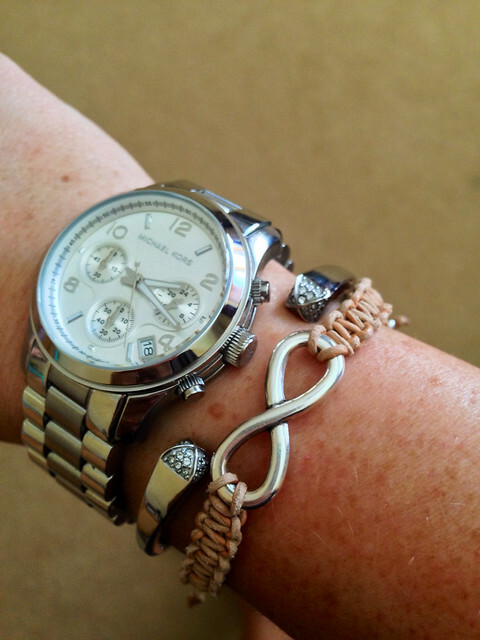 Love the bracelet and at such a great price too. 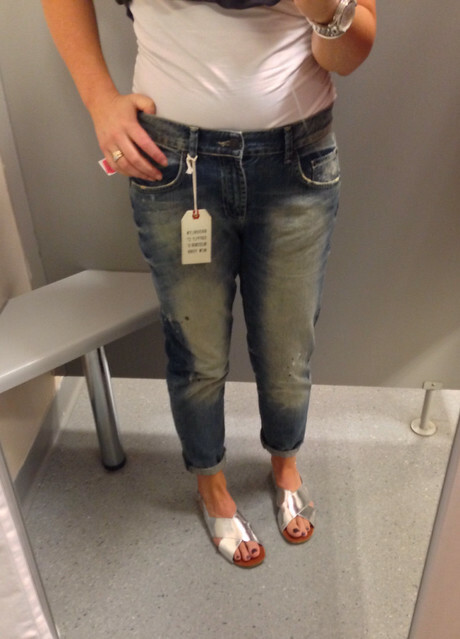 The jeans look fab on you - amazing bargain! Love the bracelets too. Any chance of you returning to your old format website? I hate this new one- way too busy! It puts me off reading as it hurts my eyes!